The group’s spokesman, Abu Hassan al-Muhajir, broke a six-month silence to call on Isis supporters to “take vengeance for their religion” in the 44-minute audio recording. Isis has consistently made the argument to its followers that Muslims and non-Muslims cannot live side-by-side, and has used terror attacks such as these in its propaganda to make the case for its warped version of an Islamic state. 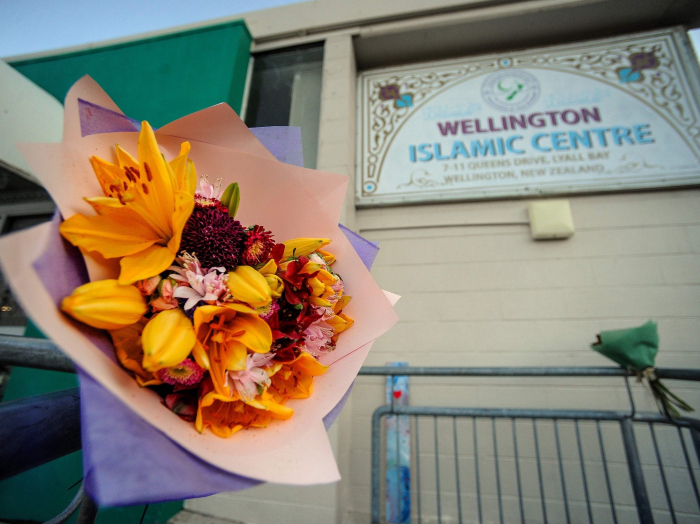 Even before the audio message appeared on Isis channels on the encrypted messaging app Telegram, experts had warned that the Christchurch massacre could be used for “reciprocal radicalisation”. Isis supporters have claimed to avenge Muslims killed in Syria and Iraq, while far-right terrorists including the Finsbury Park attacker and the alleged New Zealand mosque shooter have claimed the same for victims of Isis-inspired attacks. Security services fear a “domino effect” in atrocities and will be bracing for any potential impact from Isis’s latest call. The message comes as the Isis caliphate, which once stretched for tens of thousands of miles and ruled over some 10 million people, is on the brink of defeat. US-backed Syrian forces said they were close to capturing the last territory under Isis control on Tuesday, after taking most of a tent city where the group has made its last stand. Although scattered clashes were continuing, a spokesman for the Syrian Democratic Forces said the battle would end “very soon”. “This is not a victory announcement, but a significant progress in the fight against Daesh,” said Mustafa Bali, the SDF spokesman, on Twitter. “The battles are not yet over. There are still some pockets next to the river. Some of the terrorists have taken their children as human shields. There are intermittent clashes,” Mr Bali said. The battle to capture the last piece of the once mighty caliphate has gone on longer than anyone expected. Cornered in the small village of Baghouz, in Syria’s Deir ez-Zor province, the group’s most experienced fighters have put up a fierce fight. An exodus of people has filed out of the village over the past two months, surprising Syrian and US officials. Some 60,000 people have fled the group’s dwindling enclave, nearly half of whom were surrendering supporters of Isis, including some 5,000 fighters. But even on the brink of defeat, the group has continued its propaganda effort. Muhajir, who real name is not known, commented on the battle for Baghouz on Tuesday. “Do you think the displacement of the weak and poor out of Baghouz will weaken the Islamic State? No,” he said. The last message from Muhajir came in September 2018, when he claimed responsibility on Isis’s behalf for an attack on an Iranian military parade in the city of Ahvaz.